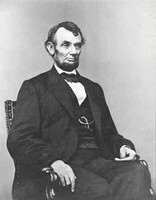 Abraham Lincoln photo courtesy of Library of Congress. Appointment of Alfred Caldwell of Virginia as U.S. Consul at Honolulu, signed by U. S. President Abraham Lincoln on August 12, 1861. Click on the document below to view. Document authorizing the U.S. Secretary of State to affix the U.S. Seal to the preliminary Emancipation Proclamation, signed by U.S. President Abraham Lincoln on September 22, 1862. 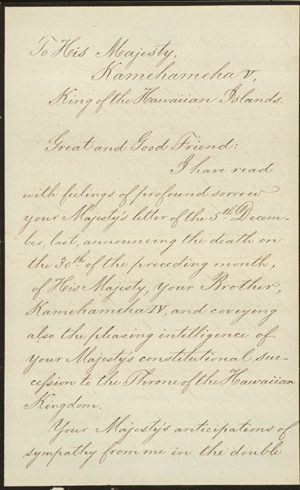 Letter dated March 16, 1863, from U.S. President Abraham Lincoln to His Majesty King Kamehameha IV regarding the appointment of Mr. James McBride as Minister Resident of the United States in the Kingdom of Hawaii. 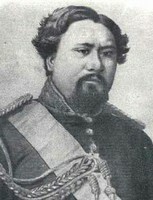 On February 1864, U.S. President Abraham Lincoln sent a letter of condolence expressing his sorrow at hearing of Kamehameha IV’s death, but congratulating and extending offers of support to the new King. 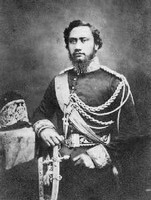 King Kamehameha IV and V images are from Hawaii State Archives. Click on the page below to see the entire letter. ARCHIVES IN THE NEWS: Abraham Lincoln documents referenced in a Honolulu Advertiser article on Thursday, February 12, 2009 about the connection between the islands and Lincoln: Lincoln reached out to grieving Hawaiian king in 1864.